Marketing is one of the most effective techniques for successful business growth. As the ultimate goal of every business owner is to lead its market niche, having a well-defined long-term marketing strategy is crucial. Marketing dates back to ancient times, and as a concept, has developed since the time people started trading. As an activity, on the other hand, it began to be known in the time of the Industrial Revolution and since then has passed several stages of evolution. In the 20th century, with the development of technology and television, marketing took on a big boost by becoming a major part of a business, especially for large companies. Traditional marketing, or otherwise known as outbound marketing, comes in several forms. So far, all channels have resulted in a fairly large success rate. However, its impact has started to swing and fade when the internet began to become a necessary “tool” for the functioning of society. Today, in an almost completely digitalized world, a new marketing form is revolutionizing. Digital Marketing! 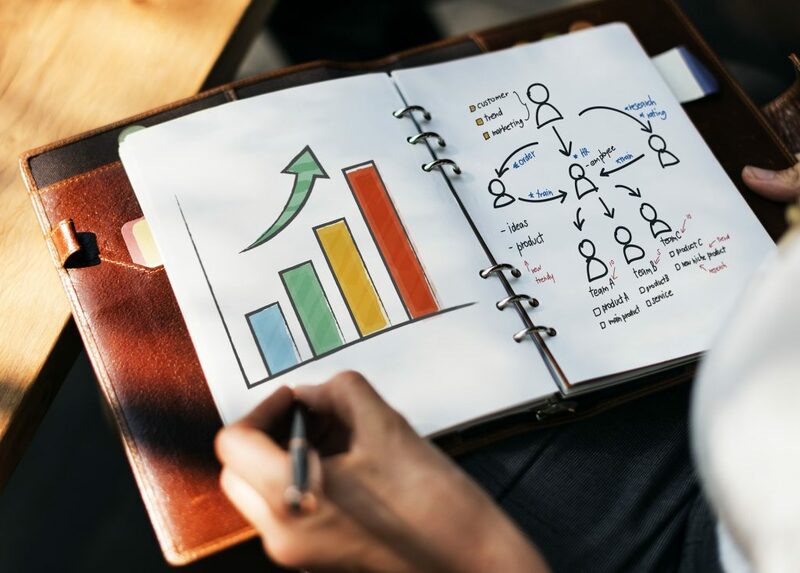 In recent years, since a great percentage of large and small businesses have started to operate online, internet marketing has increased enormously. Although many people still believe in traditional marketing, the truth is that the biggest quest to find a product or service is using the internet as a fast, secure source. Digital marketers have developed highly practical and effective digital marketing techniques which, unlike traditional ones, have a different approach. The main idea is that users choose to be exposed to ads, not otherwise. Traditional marketing is an imposed form that appears at any time by attracting your attention unwantedly. For example, you are watching your favorite TV show and suddenly an advertisement comes out. It has nothing to do with your interest, and it makes you really get annoyed and maybe abandon your favorite TV channel. Same happens with radio marketing, mail and print marketing. The user is forced to it. In the meanwhile, this is never the case with digital marketing. Online ads are targeted to certain audiences that have previously shown interest in services or products similar to yours. They are displayed only to your potential customers, and their purpose is to encourage them to make the decision to interact with your business. It’s this simple! Recent research from various sources predicts that digital marketing ad spending is advancing in comparison to traditional marketing spending. It is expected that 2019 will be a year of a new era. According to forecasts made by eMarketer, based on the growth of Amazon, in the coming years, the focus of media spending in the United States of America will be in digital marketing. Until 2023, this growth is expected to include 2/3 of the budget allocated to Marketing. A report published by Statista.com indicates that social media ad revenue in the U.S. grew by 42.9 percent in 2018 compared to the previous year. Spending trend is expected to grow 19 percent to $129.34 billion this year making thus the major part of the total spending in the U.S. Two-third of this amount will account for mobile. According to recent research conducted by, it turns out that this trend will continue to grow. 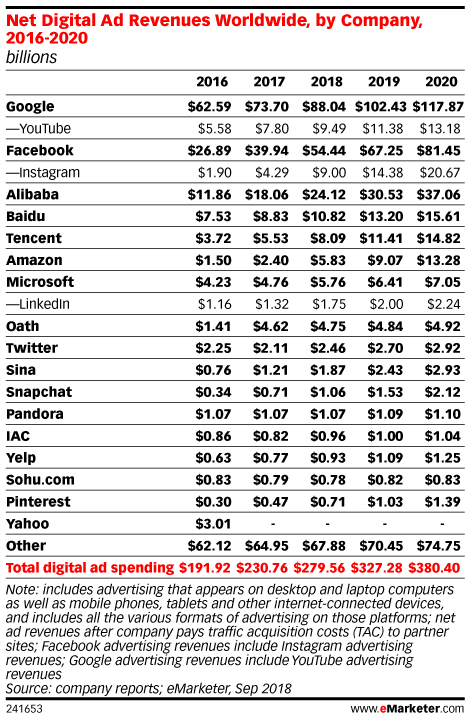 Below you can see the forecasts for digital ad spending worldwide by 2020. According to a report published in February 2019 by the Interactive Advertising Bureau (IAB), digital ad revenue rose to $ 26.2 billion in the third quarter of 2018, a phenomenon that marks a historic increase of 20.6% since 2017. Moreover, this is the biggest growth digital marketing has had so far. 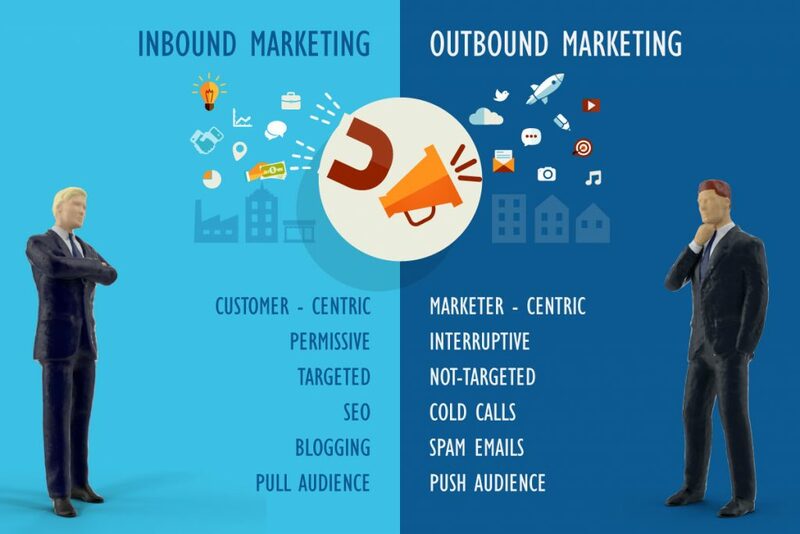 Difference between Outbound Marketing and Inbound Marketing (traditional and digital) is quite subtle and visible at the same time. While both have the same intent, the approaches to achieve goals differs widely. Traditional Marketing has long, beautiful, and quite a success story. But, apparently, the throne is being handed over to Digital Marketing. And this is because people do not find non-digital marketing strategies, techniques, and channels as effective as they used to. Traditional advertising spending trends have decreased this year, and are expected to decline further in the coming years. This fact is a strong indicator that this trend will include a considerable drop in Yellow Pages advertising, print ads, TV, radio, and other traditional marketing channels. Another interesting fact is that digital marketing, compared to traditional marketing, has a lower cost. For example, a marketing campaign on Social Media is much cheaper than a marketing campaign on TV. Even the most expensive form of digital marketing, Pay Per Click, is quite cost-effective compared to any traditional marketing channel. Starting from this fact, and also the steady growth of digitalism, we may come to the conclusion that Digital Marketing has a better ROI than non-digital Marketing.